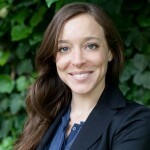 Silvia is a fifth-year doctoral student in the Marketing Unit at the Harvard Business School. Her research investigates how consumers use products and brands to express identity and signal status. 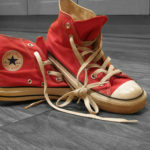 For example, one of her projects explores the conditions under which nonconforming behaviors, such as wearing red sneakers in a professional context, lead to inferences of higher status in the eyes of others. In another project, she analyzes intergroup dynamics in the domain of exclusive brands and demonstrates the positive effects of non-core users of the brand, the “brand tourism effect.” Silvia’s other research interests include the consequences of product ownership and counterfeit goods. Prior to coming to Harvard, she worked for five years in the marketing departments of Danone and L.V.M.H. Silvia earned her B.A. with honors in Economics from LUISS University in Italy and her MBA from IESE Business School in Spain. Why do some top CEOs skip the suit in favor of casual wear? New research explores when bucking social norms can actually pay off.